commercial HVAC contractors in Buffalo NY, residential HVAC contractors in Buffalo NY, woman owned commercial mechanical contractor in Buffalo NY, HVAC installation services, Custom Ductwork and Installation, Heating systems, central Air Conditioning Systems, Ventilation Systems, sheet metal fabrication and pipe fitting, high efficiency furnaces, residential furnace and boiler installation, in-floor heating systems, indoor air quality systems, humidification systems, HVAC service and maintenance contracts, emergency HVAC services. We are a “WBE” - licensed, woman-owned commercial mechanical contractor specializing in heating, air conditioning, ventilation, sheet metal fabrication and pipe fitting. Incorporated as an HVAC contractor in 1996, we grew up in mechanical contracting in Buffalo and we have the capacity to handle any job or service. Our technicians are on call 24/7. Make your home more comfortable, efficient, and affordable by adopting the best heating solutions. 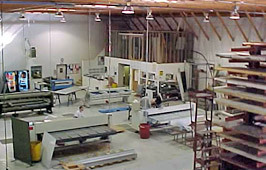 With a sheet metal shop and fully-stocked service trucks, we offer peace of mind and rapid response.